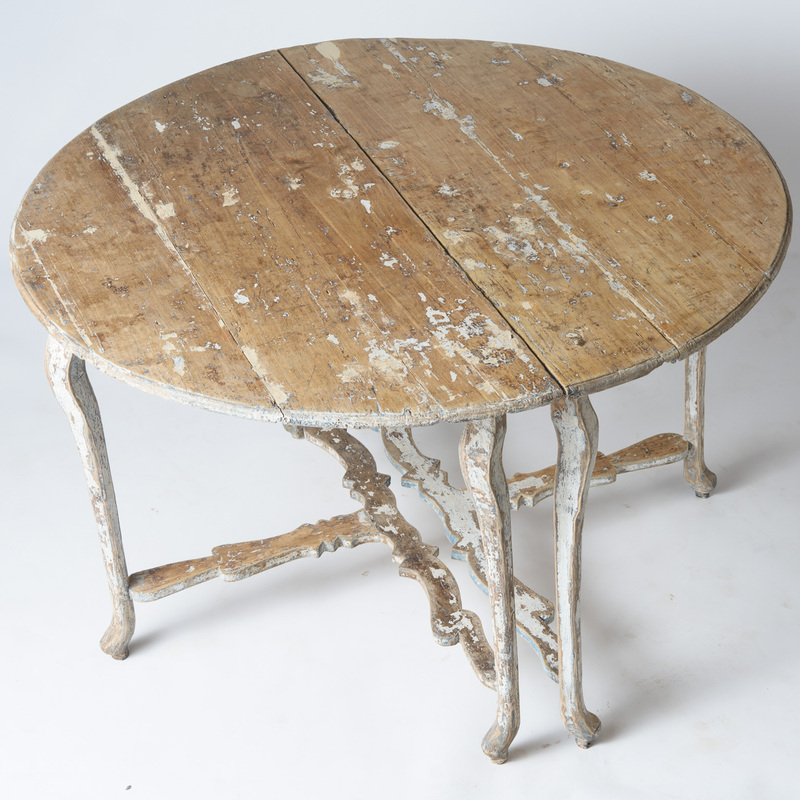 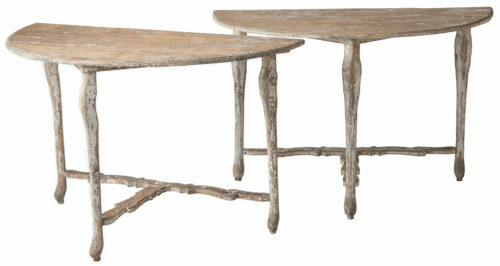 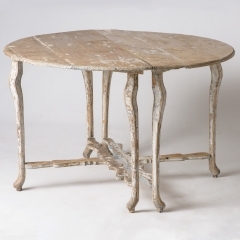 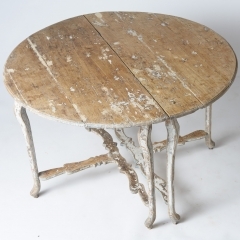 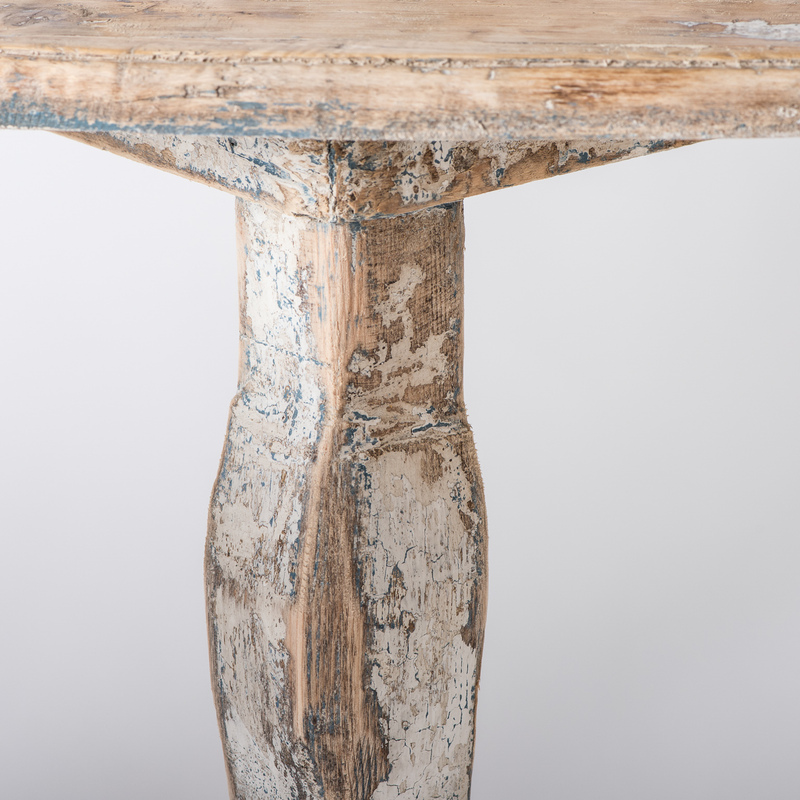 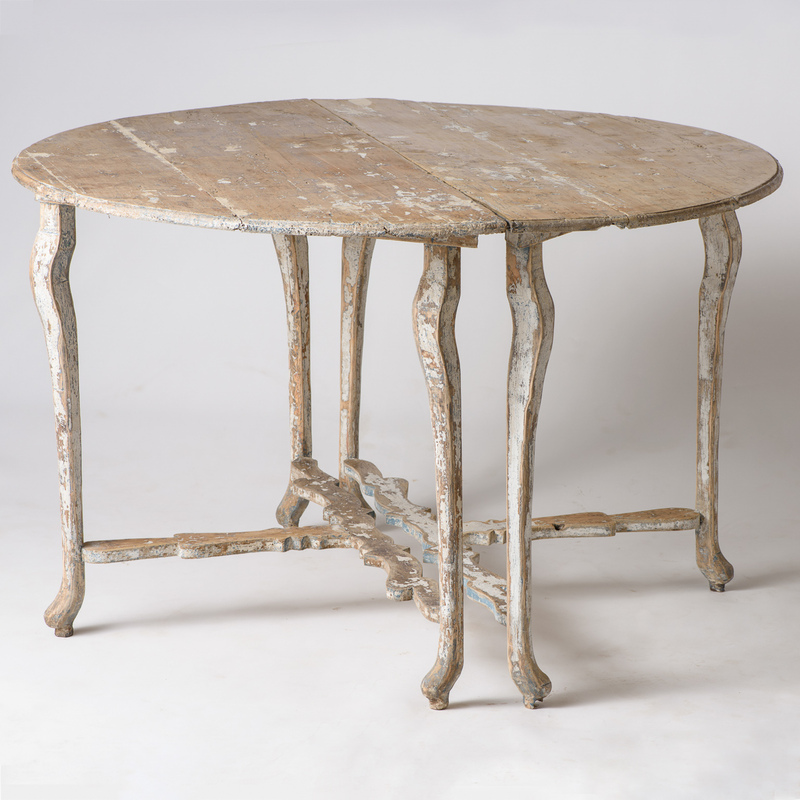 These demilune tables have the beautiful well-worn look only found on treasured pieces of furniture handed down over time. 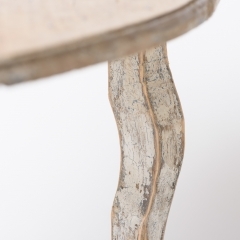 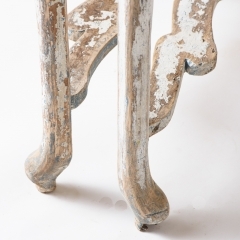 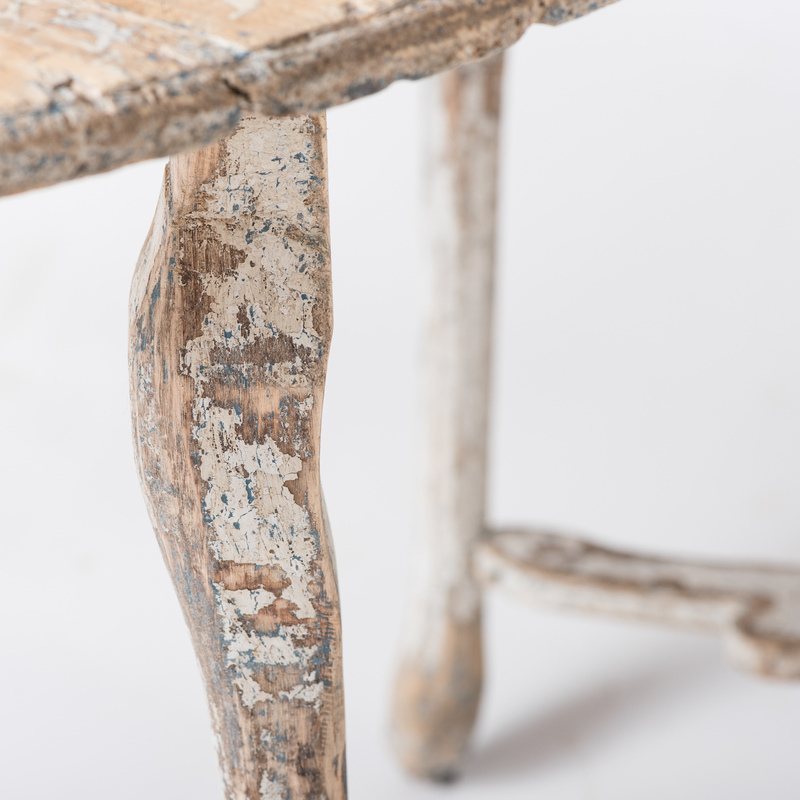 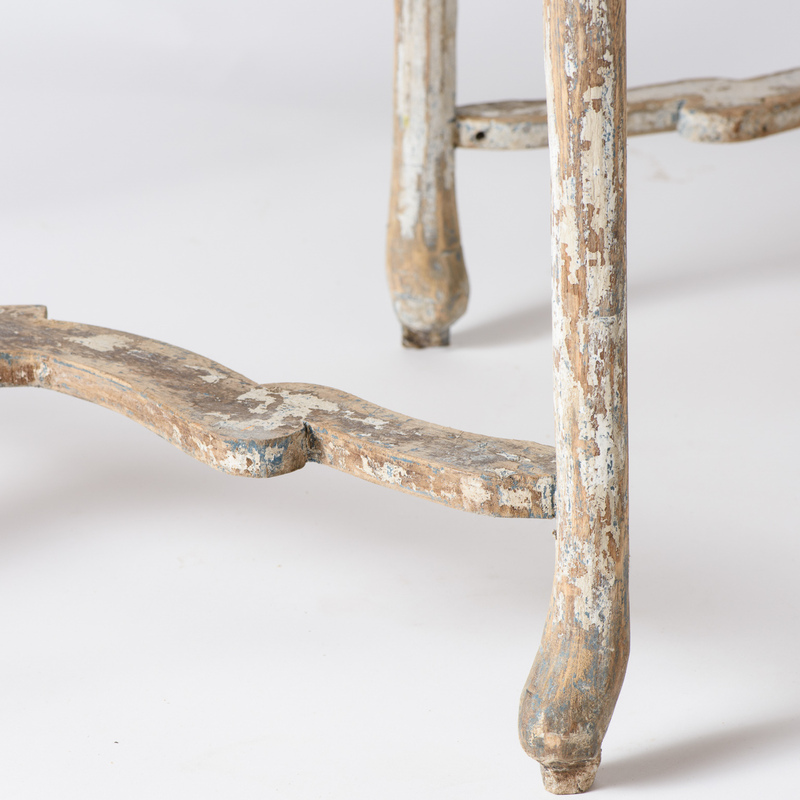 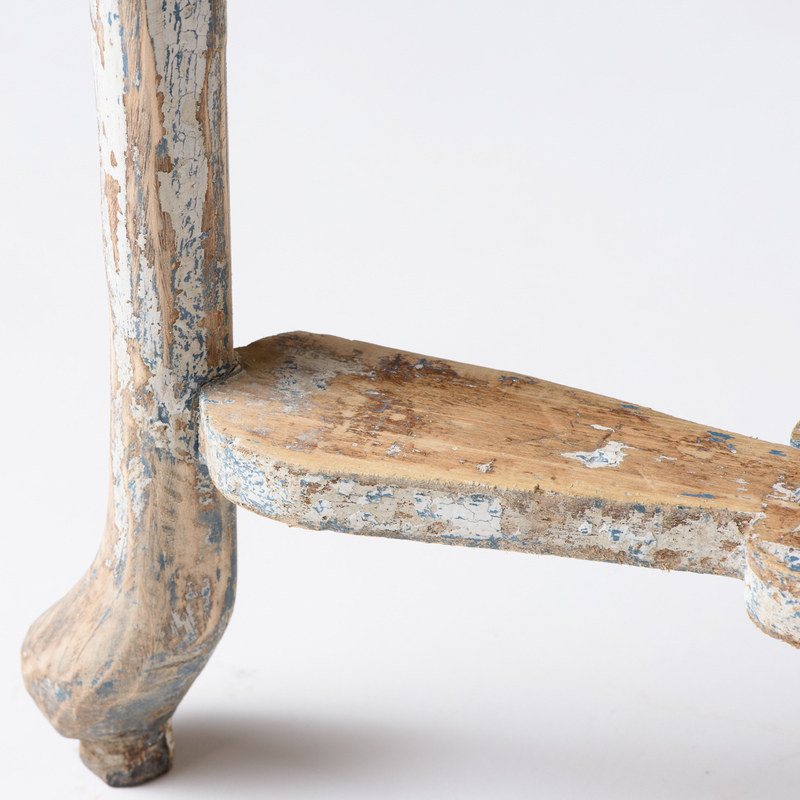 They have great form with curved legs and unique stretchers showing traces of old white paint. 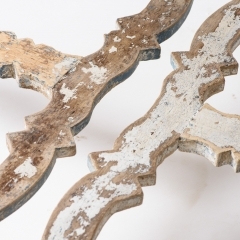 The scrubbed tops have a lovely patina with some repairs in evidence.